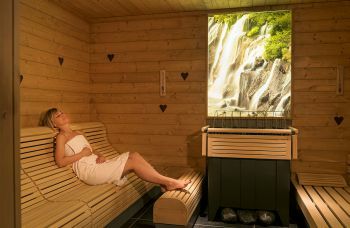 Regular sauna visits strengthen the immune system, prevent colds, open the airways in the nose and throat area and help the body relax and recuperate. 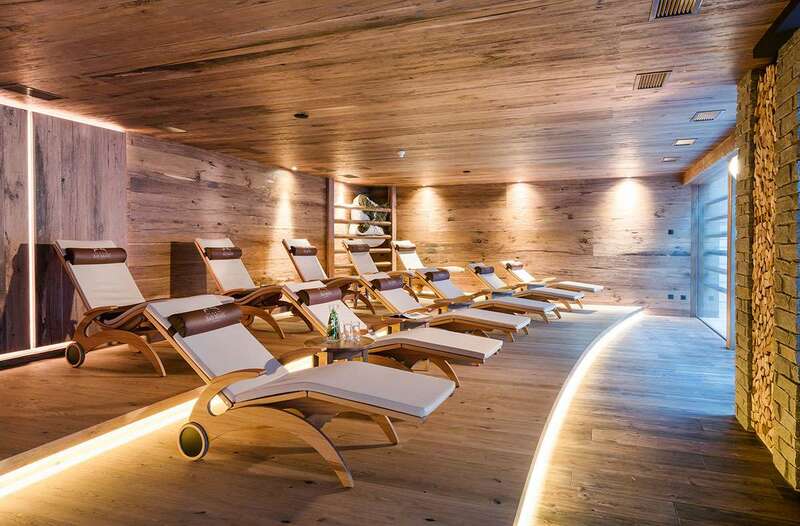 In the Termesana saunarium at the Bad Moos – Dolomites Spa Resort in Sexten you can choose your temperature. 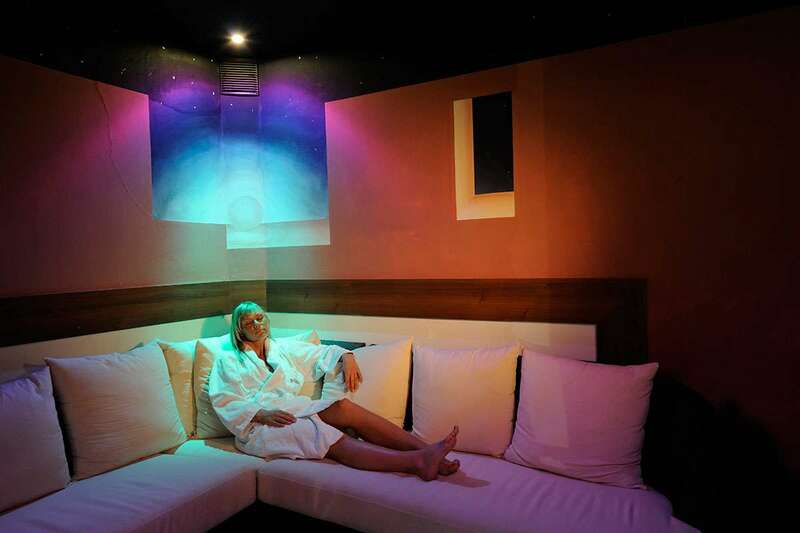 There’s a Finnish sauna, a bio sauna, a steam bath and an infrared cabin. 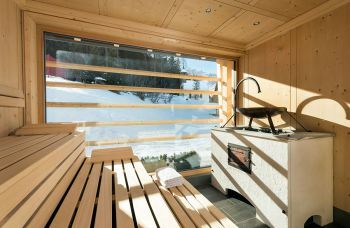 Italian guests in particular love the larch (larix) modesty sauna, where bathing costumes are permitted. 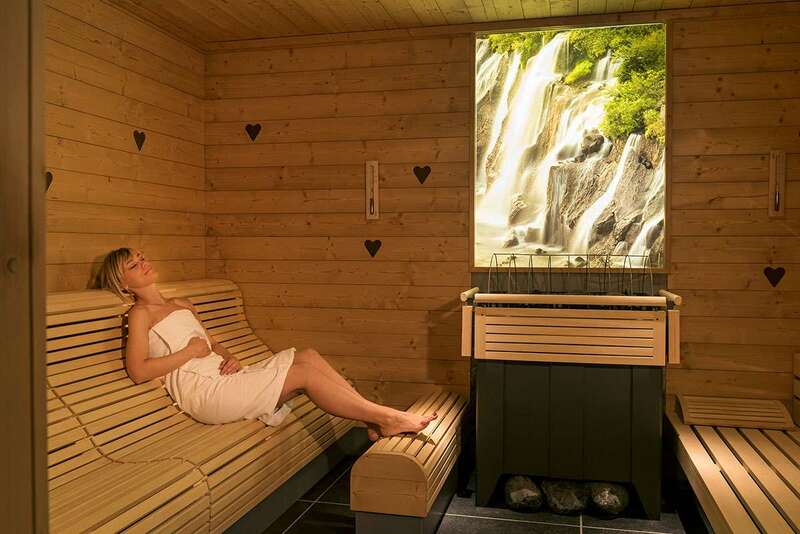 The spruce (picea) sauna is for ladies only. Afterwards, you can cool off in our sulphur spring water. As well as the cold sulphur rain shower, there is a sulphur plunge pool and a Sulfurea Kneipp course. Then it’s time to relax, sleep and dream: by the crackling fire in the Foenum relaxation room or in the mystical Sulfurea Relaxation Grotto encircled by streams from the sulphur spring. You can also experience extraordinary sauna ceremonies and infusions conducted by our sauna master Charlie . Prepare to be surprised by his imaginative ideas and artistic performance. One of the most traditional ways of working up a sweat that has been around for centuries. The temperature is between 80°C and 90°C with relatively low air humidity: 10% to 30%. Infusions of essential oils (menthol or eucalyptus) poured onto the hot stones have a beneficial effect on the respiratory system. A gentle way to work up a sweat. The temperature is around 55°C to 60°C with air humidity of around 40%. This type of sauna is gentle on the circulation. The aroma of herbal essences promotes wellbeing. 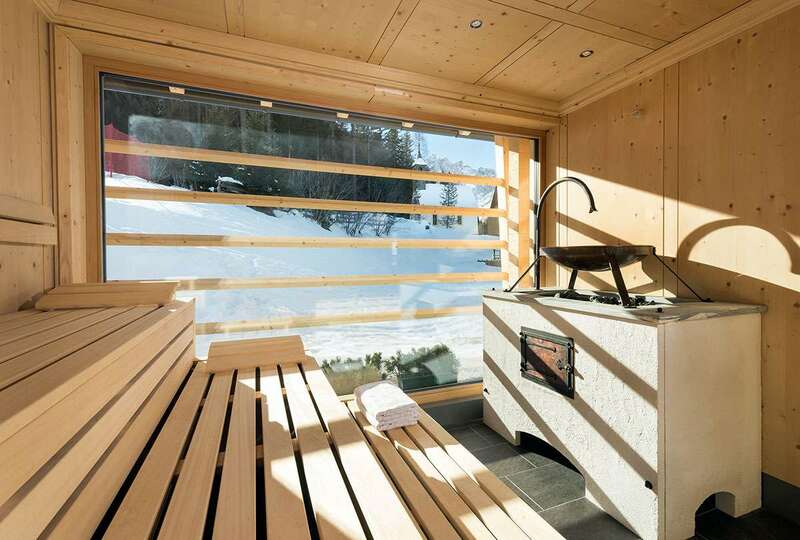 This sauna made from spruce wood is for ladies only. 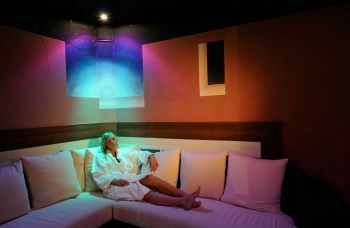 Relax on ergonomic loungers as beneficial aromatherapy infusions are poured onto the hot stones. The temperature is around 60°C with air humidity of around 50%. For people with circulatory problems, the steam bath is better than the very hot Finnish sauna. At temperatures of around 45°C and air humidity of nearly 100%, the water vapour lubricates the airways, opens pores in the skin and causes the body to sweat. It detoxifies, stimulates the metabolism and strengthens the body’s defences. The temperature in the cabin is around 35°C, depending on the setting chosen. Infrared deep heat therapy relaxes tense muscles, soothes back pain, strengthens the immune system, reduces stress and burns more calories. The sulphur plunge pool with cold (6.1°C) water from our healing spring stimulates the circulation, gets the blood flowing, strengthens the blood vessels, stimulates the metabolism and builds resilience. After a session in the sauna, we recommend cooling the body down in the arm bath first and then in the plunge pool to achieve a healthy Kneipp effect. In the 19th century, a priest called Sebastian Kneipp developed a new hydrotherapy concept. Alternately stepping in cold and hot water stimulates the blood circulation, prevents varicose veins, soothes migraines and strengthens the body’s defences. The heated waterbeds in our mystical grotto are reached by crossing the sulphur spring water on stepping stones. 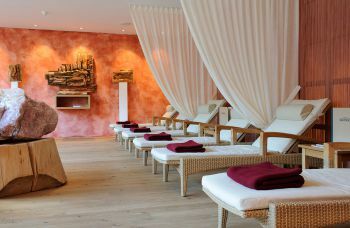 This is a calm place to relax after your spa treatment or between sessions in the sauna. 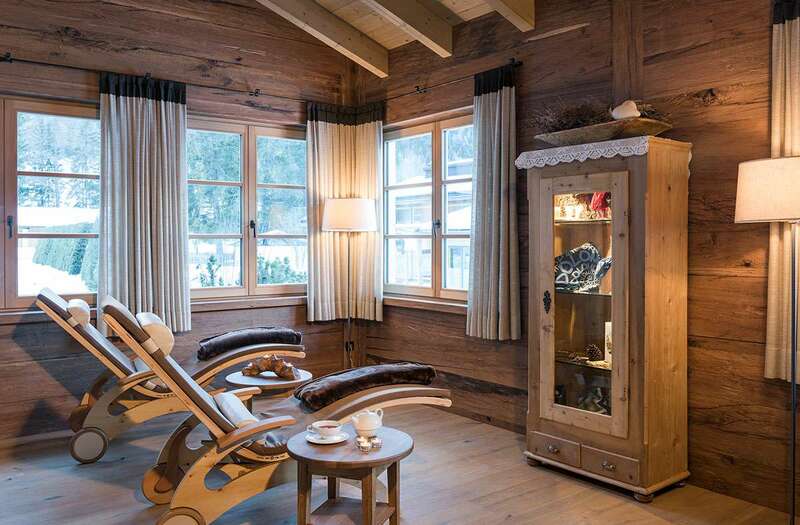 After visiting the sauna, enjoy total relaxation on an ergonomic lounger by the crackling fire. Admire the views of the surrounding countryside and let your mind wander. The stone fountain at the entrance to the Termesana spa area of the Bad Moos – Dolomites Spa Resort is dedicated to St. Valentin, who watches over the healing sulphur spring. A sip of the liquid – Rotwand spring water mixed with sulphur spring water – revives the senses immediately and stimulates the metabolism.